It's not uncommon to see something out of the corner of one's eye that isn't really there. This could easily be explained by science as the regular use of peripheral vision detecting subtle movement or light. But that's pretty boring. It could be something less normal — something paranormal. 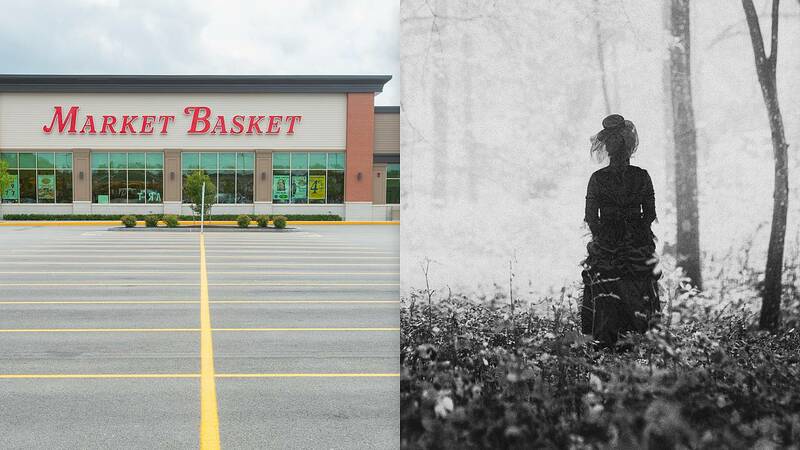 When Christiana Bush, an employee at the Market Basket grocery store in Wilmington, Massachusetts, claimed that she saw a ghost in the store on March 13, the apparition she said she saw was anything but subtle. "It wasn't like something out of the corner of my eye. She was staring right at me. It must have been for a second-and-a-half," Bush told TODAY Food. Before this experience, Bush, a 25-year-old psychology major at UMass Lowell, never believed in the spirit world. She was definitely a skeptic of all things supernatural. But when faced with the alleged ghost, Bush was transformed. "I was in the bakery working and I was writing on a cake for a customer," Bush explained. "And when I turned around to bring the cake back to the counter, I saw the lady in the background — she was staring right at me. I looked down for a second because it didn't register and when I looked back she was gone." The apparition was, according to Bush, so human-like that if it hadn't been for the woman's dated appearance, she wouldn't have thought much of it. "She was old. She had short curly, grandma hair, like every grandmother's haircut. And she [was] in this white dressing gown and had a white hair cap and she wasn't wearing shoes," Bush told TODAY. "I thought it was really strange she wasn't wearing shoes." After the woman supposedly disappeared, Bush began searching the aisles thinking that this elderly woman — if she was alive — would still be nearby and might be in need of some help. But the woman Bush saw could not be found in the store. In awe of what had allegedly happened to her, Bush went home and did some rudimentary research to see if she could figure out who, or what, was haunting the Market Basket she'd worked at for 11 years. Hundreds of people commented on her post, many claiming they had seen someone — or something — similar. A few even supported her experience — speculating that perhaps the ghost was meant only for Bush to see. But many others in the group were very dubious and made fun of her vision. The corporate spokesperson for Market Basket jokingly told TODAY, "As far as we know all of our stores are ghost-free. But if there's anything to it, she's probably attracted to our Victorian-era prices." Market Basket is known for its frequent sales and very cheap produce. One person in the group did identify a ghost similar to Bush's description, however, at her home on Clark Street, not far from the grounds of the Market Basket store. Settlers are believed to have arrived in Wilmington in 1665, with a rural town well-established by 1773, according to the town's historical site. Bush said she had heard that the current Market Basket property was actually owned by a doctor before becoming a grocery store in 1953. The Wilmington Historical Committee was not immediately available for comment to confirm. However, in 1953, a local newspaper, The Wilmington Crusader, reported that the Great White Plague (tuberculosis) was "still with us." Bush and the town of Wilmington may never know the truth about what she saw in Market Basket that day. Unless, of course, this elderly spirit appears again.